Pink Day a Success at KHT! Picture Caption from Left to Right: Sandy Denning (BCN), Nicole Corlett (KHT), Rebecca Duke (KHT), Voirrey Collister (KHT) and Amy Shanahan (KHT). 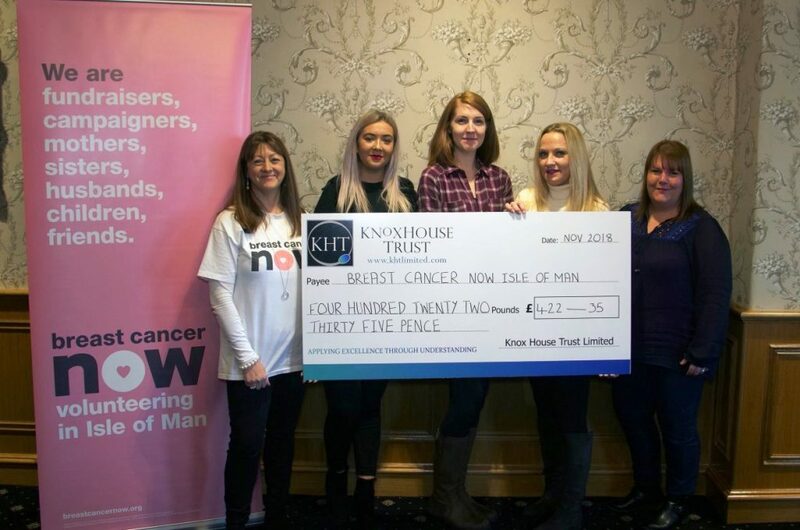 Following our support of the ‘Wear it Pink’ campaign, Knox House Trust (KHT) is delighted to report that they raised £422.35 for Breast Cancer Now. The team held a cake bake sale event on Thursday 25th October as part of Breast Cancer Awareness Month.